ECI’s Fundamentals In Ag-biotechnology and Applications In Ag-biotechnology are contextual learning courses that are suited for both science and technology agricultural applications. Some of the areas that apply biotechnology are veterinary medicine, pharmaceuticals, plant growth and harvest, immunology, environmental science, bioengineering, nano-technology, and food processing. The job market in ag-biotechnology is increasing and will provide career opportunities for years to come. The Student Textbook and Student Laboratory Manual are directly correlated. 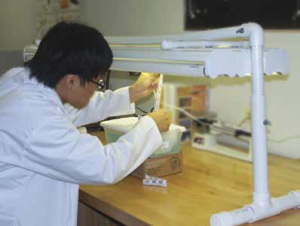 The laboratory portion combines questioning, observing, creating, experimenting and scientific inquiry to learn about the science and engineering applications that are used in biotechnology. Students will perform experiments that actually show how biotechnology is used in different fields throughout the industry. One of the major issues in farming today is fungus destroying crops. New technology to evaluate how to remedy this situation will be tested for use in farming applications. Students will learn how biotechnology is used in different areas including: plant growth, medicine, food biotechnology, environmental science, immunology, bioengineering, and nanotechnology. 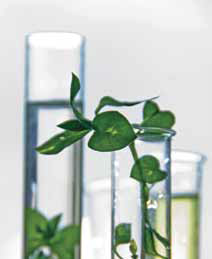 Experiments are performed to demonstrate how biotechnology is used. Students will also evaluate bioethics and social concerns related to Ag-Biotechnology. Lastly, they will have an opportunity to examine all aspects of biotechnolgy industry. 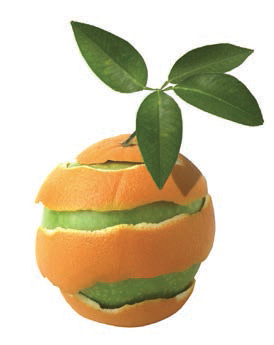 Ag-Biotechnology is revolutionizing how food is grown and produced. Ag-Biotechnology is widely used to improve growth and food production.